El Nido Resorts regularly and enthusiastically participates in environmental events such as the Earth Hour, Earth Day, International Coastal Cleanup Day, World Ocean Day, and World Responsible Tourism Day. Part of my job is to ensure that the preparations for these events go smoothly. The Environmental Officer for each resort takes care of all the necessary arrangements – coordinating boats for the cleanups, making sure that there are sacks for the collected trash, designing and printing event flyers, and reminding all the departments to encourage their staff to join. Out of all these events, WWF’s Earth Hour program is admittedly the most tedious to prepare and implement. Our generators produce electricity 24 hours a day and stopping these machines from doing so means an hour of darkness for guests who expect first-class service from us. Fortunately, the Earth Hour program is already well-known so that makes explaining to the guests much easier. 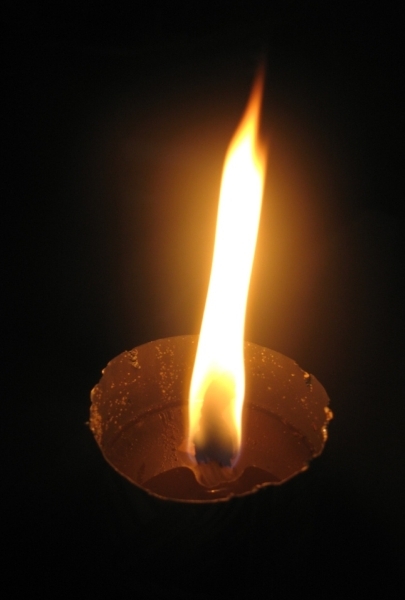 Our challenge is to be able to render excellent service even without electricity. We give letters to guests informing them about the event, make sure the pathways are lit with candles, set up dinner tables under the stars, and serenade them with acoustic music. We sometimes receive one or two complaints but most of the guests appreciate the romantic setup and, of course, our efforts to raise awareness for environmental conservation. 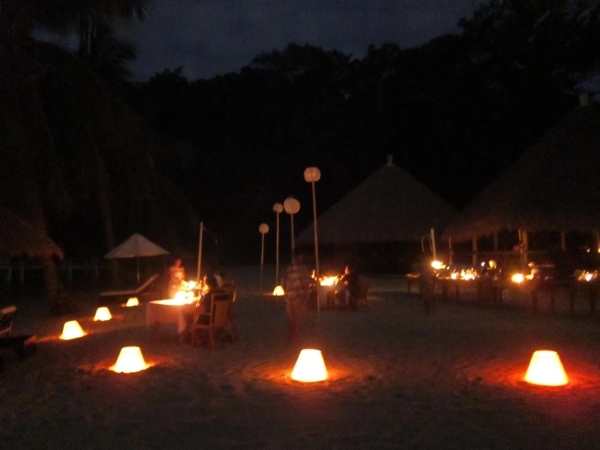 It was from Earth Hour’s success that El Nido Resorts’ Environment Hour program was born. After Earth Hour 2010, we realized that we can certainly do more than just a single hour each year. We considered turning off our electricity for the Saturdays of April and May and donating the money saved to Island Transvoyager Inc.’s carbon offset program. Instead of buying fuel for the generators, we’d buy seedlings that will sequestrate carbon dioxide and help restore El Nido’s watersheds. To maximize the money for seedlings, we had to find a way to reduce the cost of the candles used to light the pathways. 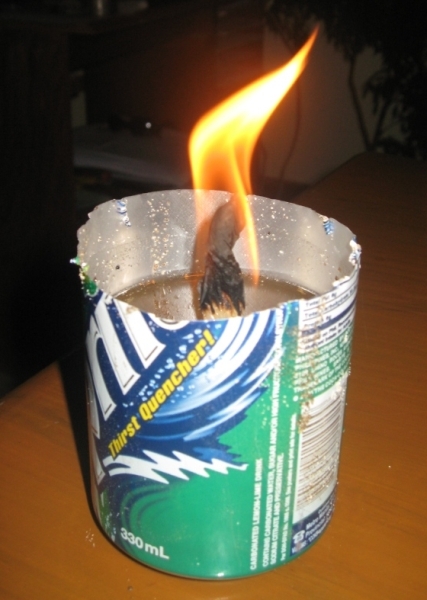 What we came up with was a homemade oil lamp using aluminum soda cans, used cooking oil, and cloth wicks. The Environment Hour program successfully ran six times in 2010 and saved as much as Php16,000. Our improvised candle all lit up. It works! In 2011, we decided to hold the Environment Hour during the full moons of January to May to maximize the ambient light and reduce the number of candles needed to light the pathways. The Environment Hour program turned energy conservation into a fun and memorable experience for our guests, as they enjoy a romantic candlelit dinner under the moonlight. We’re still doing it this way for 2012. This 2012, Apulit Island Resort will be joining Lagen and Miniloc in the cause and the estimated savings of Php 30,000 will be used not only to rehabilitate watershed areas but also to fund environmental education campaigns in the local community. The extended Environment Hour accomplishes so many different things: prevents more carbon dioxide emissions and sequestering existing ones, plants hundreds of seedlings to restore El Nido’s watershed areas, and raises awareness for global warming and climate change. 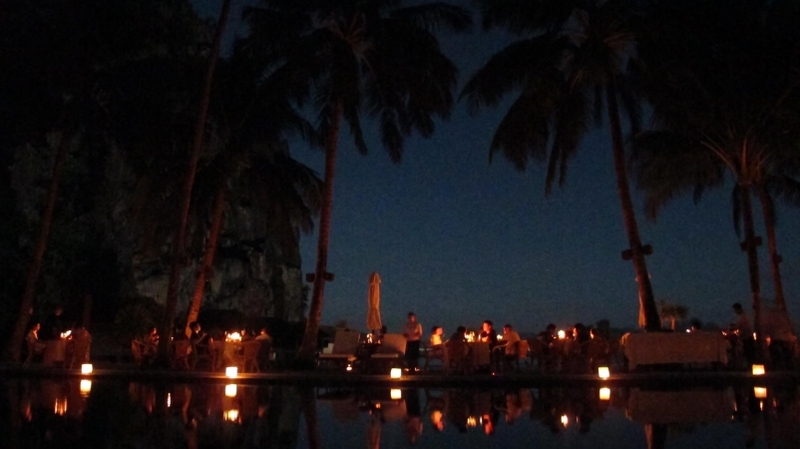 It’s official: El Nido Resorts definitely went beyond the [Earth] Hour. Read all articles by Kring Soriano.